Vector Telecom manufactures Crossguide Directional Couplers covering a wide frequency range. 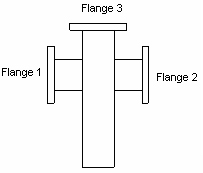 Couplers are available in 3 or 4 port configuration. Standard coupling values are 20, 30, 40, 50 and 60 dB, with minimum Directivity of 18 dB. The compactness of crossguide coupler suits many applications where space is at a premium and directivity is not the prime consideration. Models are available with combinations of waveguide and coaxial ports. Special multi-port crossguide couplers can be manufactured to suit customer's special requirements. *** Typical operating bandwidth of the crossguide coupler is up to 20% of waveguide center frequency.